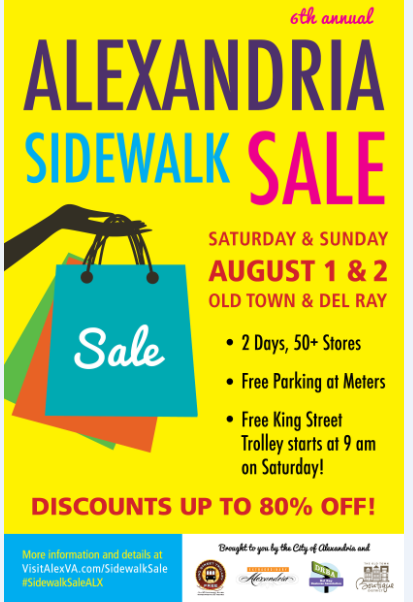 Come to Alexandria’s Sixth Annual Summer Sidewalk Sale Saturday and Sunday, August 1-2. Over 50 of Alexandria’s favorite boutiques will offer deep discounts on summer merchandise during this premier sidewalk sale event. You will find a little bit of everything there: clothes, accessories, jewelry, home décor, seasonal and gift items. 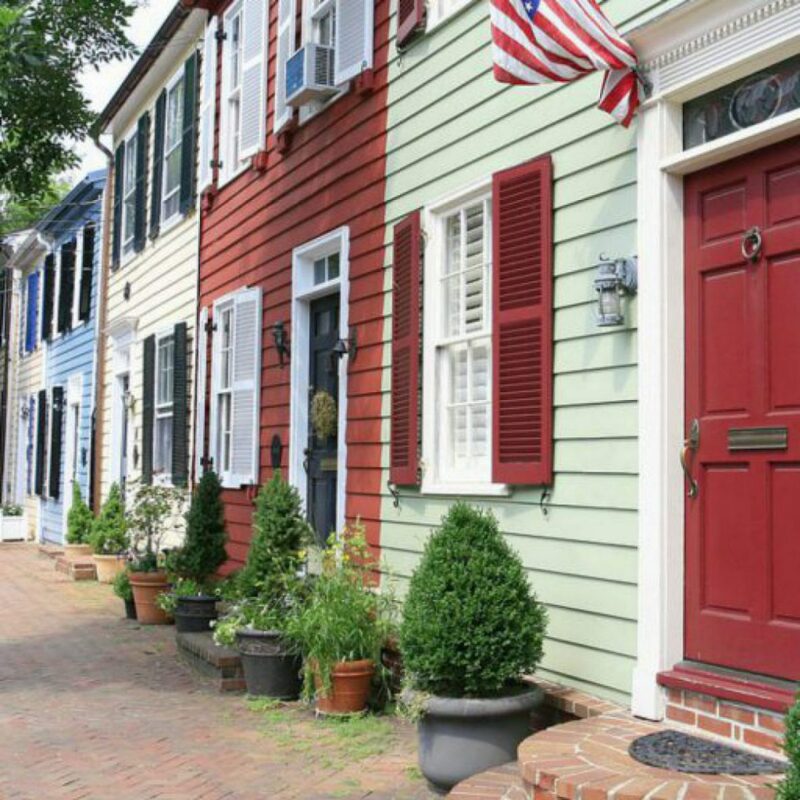 The city of Alexandria will provide free parking both days at the meters in Old Town and Del Ray. And, DASH’s free King Street Trolley will start at 9 a.m. on Saturday Only. To make the event even more fun, there will be a Sidewalk Sale Swag Social Media Contest. Shoppers are invited to post their finds on Instagram and Twitter with the hashtag #SidewalkSaleALX. If you do, you will be entered to win a gift certificate from one of the following restaurants: Society Fair, Bistrot Royal, Bastille, and Virtue Feed & Grain. A complete list of all participating businesses can be found at: VisitAlexVA.com/SidewalkSale. We are looking forward to going to the Shoe Hive, the Christmas Attic, Curated and Hysteria, just to name a few! The event will be held rain or shine. In the case of inclement weather, sidewalk merchandise and tables will be brought inside. See you there!